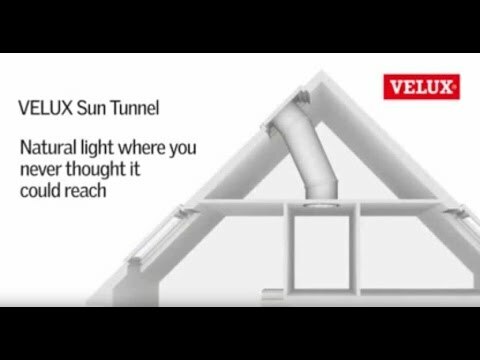 VELUX recommend the flexible sun tunnel for lengths from 0.4m to 2m between the roof and ceiling. VELUX sun tunnels are a stylish way to transform your home, flooding rooms with tons of natural light and creating an air of space and freshness. Most houses have rooms that struggle to receive enough daylight, creating spaces that feel cold and unwelcoming, until you turn on a light. VELUX sun tunnel skylights are the perfect antidote to this dim, dark problem. We can deliver the VELUX TLF 0K14 2010 14" Flexible Sun Tunnel For Slate Roof next day on our own vehicles, enter your postcode to see if you are in our servicable area.